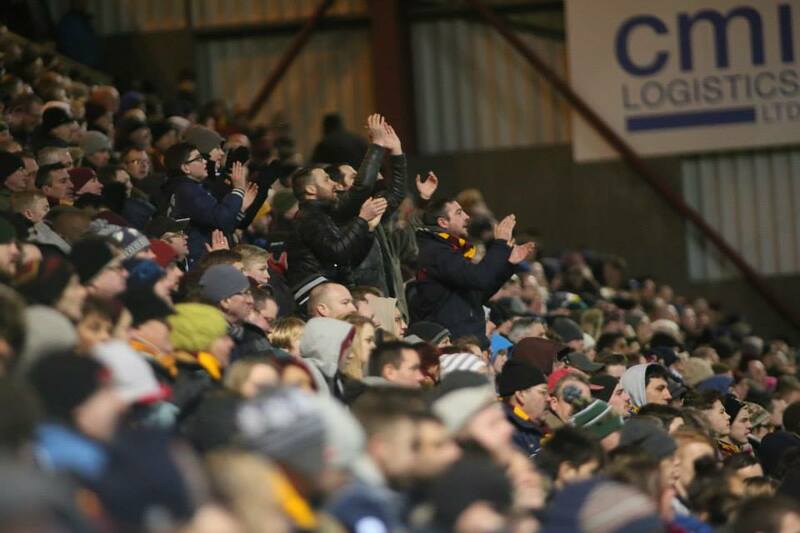 Are you one of Bradford City’s 6,000 loyalist supporters? If you are going to Stamford Bridge, Chelsea this weekend, you will argue that you are. If you are one of the unlucky ones who wanted to go but couldn’t get a ticket, you will still argue that you are. There is no quantifiable way to rank different supporter levels of dedication, and very few objective ways of measuring it. We are all selfish to an extent; we are all partisan in championing our own viewpoint. And that’s because, ultimately, we all care deeply about Bradford City Football Club, and can’t imagine that others could possibly care more. The club has taken a lot of flak over the ticket arrangements, and they deserve to face it. They were undoubtedly stuck between a rock and a hard place, but that doesn’t excuse very obvious failings in the distribution of Chelsea tickets that have left many people upset. The club should be ashamed that they allowed hundreds of people to queue for hours with absolutely no chance of getting a ticket, and must show humility when faced with angry complaints from those who aren’t clutching a golden ticket. This sort of occasion should have brought everyone together, but instead has driven people apart. This should be an occasion to revel in been a Bradford City supporter, but instead there is an unpleasant bitterness. The #bcafc hashtag on Twitter, and Facebook-related pages, demonstrated this vast disparity in moods. An upset message from a supporter who missed out, followed by another fan posting a picture of their ticket. To be honest, you’d think the latter group could have shown a bit more tact. The chances are, like me, you know of people going to Stamford Bridge this weekend who don’t really merit their place, when judged against the greater dedication of others. But they have every right to be there too. We all do. It is not an easy and attractive option to be a Bradford City supporter, and anyone who shows even lukewarm interest should always be encouraged rather than pushed away. It was a perfect storm in many senses. Two years on from the League Cup miracle, a trip to a big Premier League club once again has the novelty. This time is seems more of a one-off occasion. It’s a fair distance away but a 3pm Saturday kick off is easily manageable. And it’s not on TV, so there is no consolation for missing out on a ticket. No fair-weather way to enjoy the game for those who’d have been happy to settle for just that. City could have sold three times the 6,000 tickets they were allocated, and you will have your own thoughts on the fairest way to have distributed them. On WOAP this week we will tackle this issue in more detail, but it is sad that the build up to such an exciting cup tie is partially overshadowed by this fall out. If you are going to Stamford Bridge on Saturday, enjoy it. A glance into the history books (another thing WOAP will do this week) illustrates just how rare a moment this is. But as you savour the atmosphere and shout yourself hoarse, spare a thought for the many more Bradford City fans who will be following events at home. They deserved to be there too. It seems to me that the biggest error the club made was to offer beneficial treatment to Millwall ticketholders because due to internet ticketing shortcomings (a) anyone who bought tickets for Millwall from the ticket office was obliged to buy their Chelsea tickets from the ticket office and (b) anyone who wanted to buy more than one Chelsea ticket online using their Millwall stubs, couldn’t. The upshot was that pretty much everyone had to buy tickets in person, which is why people were queuing in the cold for hours and missing out. The Millwall stub issues were foreseeable but, once evident, the club should’ve apologised and withdrawn the Millwall stub offer, allowing fans to book online and not in the cold and sleet. Is there a possibility of the club showing a live feed in the banqueting suite ? I didn’t have the time to queue for a ticket and so missed out. I could make a case for being deserving having supported the club for long enough and attended most big days. On the other hand it’s no bad thing that a younger generation gets the chance to support the club on this occasion if it breeds a future commitment to keep the club alive and vibrant. However what does xxxx me off is to hear of individuals jetting back to UK from abroad to attend the game (quite how they managed to get a ticket is anyone’s guess) as a one off. Does it make you a more committed fan because you can afford to fly home 3000 miles? Undoubtedly there will be hangers on in attendance on Saturday, I would trust that they are in a small minority. But it would be good to arrange some sort of live TV viewing at VP for the rest of us – you are not telling me that the game is not being filmed by Chelsea TV for their worldwide ‘hangers-on’ (sorry, fans)?? flying in from Tucson to see the game is nothing short of what a I…a city fan across the pond deserves. We pay for our bantam player(not very reliable at times and expensive) and growing up I supported City in the seventies until moving to the states in 1980.All the family back home support City and we had a relative die in the fire.Jetting back to the u.k. is expensive!! And by the way, that shows the commitment of some fans…we love our team!! Its not my fault that the tickets got distributed unfairly. Take it up with the main office! Put the game on a big screen at V.P. and charge $5…..use some common sense Mr. Mason. Make the fans happy. Could I ask that you look into is it possible to pay a one off subscription to the Chelsea FC TV Channel on Sky Sports as I would assume that they will be televising the game live. Though not the same as being there I do not believe it could be mor expensive than a trip to London. Chelsea TV are not showing the game live. As it is, I couldn’t afford to attempt to get tickets for me and my son but I wouldn’t have been able to take him anyway as although we are season ticket holders I only had a Millwall stub for me, as at just gone 8 years old I don’t feel it’s right for him to go to night matches on a school night. That aside, I think the biggest failing and most embarrassing aspect for the club was to put the tickets on sale, as has been mentioned, when some of the most diehard fans were representing us down in Yeovil. If anyone deserves a Chelsea ticket it is those guys and those who regularly make those kinds of trips. Surely the club could have started the sale on Sunday to give everyone a fair chance. An even better idea in future would be to come up with a loyalty scheme based on away attendance and previous cup rounds rather than allowing anyone to buy a ‘priority card’ for a tenner. It seems to me the biggest issue is that the club broke the ‘unwritten rule’ of season / priority tickets getting priority. This has always been the case up to the issue of the away priority tickets. The issuing of these cards was a naked attempt to get more cash from the supporters. There is no ‘loyalty’ to getting a card – just the ability to hand over £10. We then created another priority group by the ‘millwall stub’ priority which again was an attempt to bolster the attendance for the replay. Clearly the ability to have 3 different priority groups in such a short ticket window led to confusion amongst both fans, supporters and IT systems. All would have been well if the tried and trusted season ticket holders first rule has been maintained – then we could all have sat in a virtual queue instead ! fans, staff and IT systems – not fans and supporters ! When you take a good look at the cause of the problem, and the dissatisfaction caused, there are three things that screwed up what is usually a workable process. 1. A desire to get the tickets out there whilst only having a short timeframe. 2. Late arrival of tickets from Chelsea. Points 1 and 2 impact on each other and with ‘hindsight’ ( the same thing that would have prevented the signings of Andy Gray and Aaron McLean ) tickets sales should have started on the Sunday to Priority Members and also in respect of those who had chosen to travel to Yeovil. They could even have had priority ticket sales in a separate location, although this group do not appear to be complaining of any problems. This would have allowed Sunday sales to Season Ticket holders etc to begin. Point 3 – Although the introduction of the need for a Millwall stub, as part of a marketing initiative, was a success with regard to the replay attendance it caused grief down the line. It was also a variance on the Club’s own protocol for Away TIcket Sales when demand is likely to outstrip supply. There is no mention of ticket stub requirements on there. In summary – Whatever the club did was going to be hampered by a relatively short timeframe in which to complete sales. The club’s IT structure did not support the ‘ticket stub’ requirement. No matter what successes we have had on the pitch in recent years our support infrastructure is still cut to the bare bones but works remarkably well on a day to day basis. Ultimately no matter what process had been followed someone would have been upset and disappointed. Let’s hope we have more of these times when there is this demand…. As mentioned by Gareth above no matter what route the club took there would be anger and outrage from some supporters. 6000 tickets for 12000 season ticket holders on such a big game as this was always going to be a problem and I feel for those without a ticket but unfortunately its one of those things. As I said on the Bradford City Facebook group, and something that’s already been mentioned here, ST/FC holders should have first priority. By introducing the Away Ticket Priority all the club have done is create a division between the fans, many of these calling those that don’t go to away games ‘plastics’ and other such terms. The reality is, as Jason stated in his article, we are all Bradford City supporters, we are all the same and we all deserve to go to the big games, 6000 tickets was never going to be enough to meet demand, even without the Millwall Stub, or the ATP. Overall in my opinion ST/FC holders, and ATP holders should be given the same priority, because when did being a ST/FC holder stop being enough? The Priority away ticket said that IF the club gets a big game where demand for tickets is likely to be greater than supply then they will get……priority. With 8 or is it 9 thousand season ticket holders, then a priority away card was a sensible option. It’s like buying house insurance. Don’t buy it; don’t complain if you get burgled. Firstly, I and a few hundred others were down at Yeovil and unable to queue for a ticket. Secondly, with those who were able queuing right round past the main stand and down onto Midland road, why were there still only 3 windows open to sell the tickets? did the club not care enough to draft in extra staff and open all the windows and shift the queues that much quicker on a very cold day?. I’d like to give my experience and the reason I’m so frustrated by the whole thing. I hadn’t had a chance to get a ticket for the millwall replay beforehand, but as I was off work on the Wednesday of the game I got myself over to Bradford early to get my ticket. Got there about half 3 only to be told the tickets for the upper kop were no longer on sale as they were being used for pay on the gate. As I didn’t want to go in the midland or lower kop I had to wait to pay which lead to me missing the start of the game, the sending off and the first goal. Already a bit aggrieved, the tickets we were given didn’t have our season ticket numbers on (despite me attempting to make sure they were 4 hours before kick off), so we were forced to queue. After 7 hours queuing the tickets had sold out. While I agree there were always likely to be disappointed fans I think many are unhappy with the way it was handled. Even on the day, the millwall stub requirement meant the queuing times were longer than necessary, had it been just an ST required no one would’ve had to queue for 7/8hours, all the cross checking would’ve caused delays. I think James mason was inexperienced and crucially, unlike David Baldwin, didn’t fully understand the fans or the potential reaction. I hope they learn from the experience, but based on the statements they’ve made, they don’t seem to think there was anything wrong with how it was handled, so I don’t hold out much hope. Ah well, it’s only a cup…..
Paul what a lot of people dont understand is the situation you have found yourself in . You had a season ticket and you bought a Millwall ticket but the Millwall ticket was not linked to your season ticket …this effectively locked you out of buying your Chelsea ticket on line . Add to this those season ticket holders who did the same and who then went to Yeovil thinking they could buy on line.Also add to this those season ticket holders say 3 from the same family who bought 3 Millwall tickets but all 3 were linked to one season ticket holder …only one could buy on line . All the others because their Millwall tickets were not linked to the season ticket had to queue . Once the club brought in the Millwall stub requirement then they should have realized the necessity of linking Millwall tickets to individuall season ticket accounts . It is this massive oversight that the club needs to accept responsibility for and apologize but in the update article on the T & A today they have avoided it . My twopenneth is simply that we should recognise that the Clubs admin is run as sparingly as possible to the point where they rely on volunteers at busy times. That has always been the position in recent years and frees up money for the playing side. DBs guiding hand/obvious appetite for work has gone. The club will accept there were problems no doubt from which lessons should be learnt. The episode should not take the gloss of this seasons achievements and the unheralded hard work that goes on behind the scenes. I posted that the wife and sister in law were going to see their first City game on Saturday and was banned from Claret & Banter so tensions are running high. Luckily I could pull a few strings because I’m a 25 year season ticket holder. People should take a chill pill and let others have a chance to see the Bantams. Pulled a few strings eh? I’m a 25 yr st holder and not going to the game. Does wife and other relative know what colours bcafc wear? And you are surprised that you’ve wound people up??? Wife does as she bought me a Onesie in Claret & Amber. End of day we are all Bantams. What you did was start a new thread gloating that your wife and sister in law had tickets, when scores of people on Claret & Banter were still disappointed that they missed out. An obvious attempt at winding people up when tensions were running high. Hardly gloating, rather sharing good fortune. What I can make out is that if you really wanted a ticket you could get one. 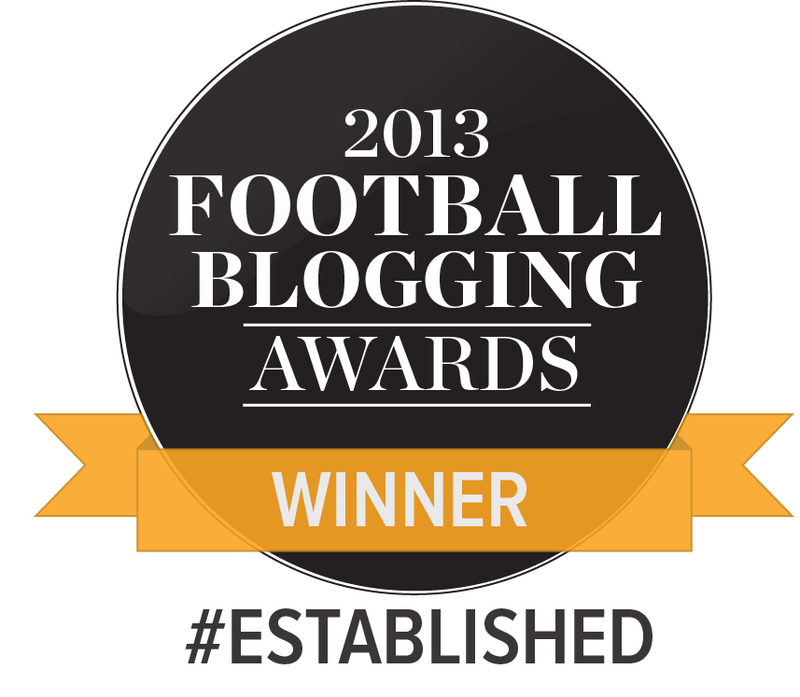 I know two people who got them this afternoon and yes they have not set foot at Valley Parade for two years. Quit the moaning and get behind the lads.